House renovations are practical, exciting and inspiring, so make sure yours delivers the goods without leaving you in a financial hole. It’s easy to stay in control of your finances by keeping a few fundamentals in mind. Decide from the start whether this project is intended to add value to your home in order to sell and move up the property ladder, or whether you are improving your home for your own enjoyment over many years to come. If it’s the latter you may choose to indulge a few personal priorities, but if your home needs to be back on the market soon and making a good return on your investment then divide carefully the essentials from the extras. Remember to include a contingency fund of a minimum of 10% of your overall budget for the grim days when you discover rotten timbers, collapsed drainage or other lurking problems that must be addressed. Plan your project well ahead to allow time to research your ideas in depth, ask friends and colleagues and particularly to take advice from professionals. An architect or contractor may have a different way of seeing your aims that gives you added value or saves you other costs. Right from the start aim to have an outline cost for each part of your project and then to add more detail at each stage. While costs are clearly of paramount important, cheapest isn’t necessarily best; weigh up quality and reliability too. Move on to working drawings, which will be necessary anyway if you require building consent or resource consent. 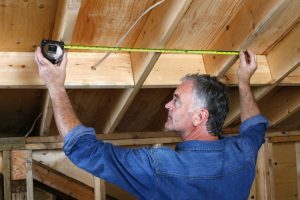 By this point, far more detail will become clear, as you demonstrate that your project will comply with building codes. It also allows you to create a detailed cost breakdown of each aspect of the project, from structural costs to more specific items like lighting, the cost of particular materials and product specifications. By this stage you can clearly separate the essentials from the add-ons and keep a closer track of your budget, but it’s not just about cutting costs. Sometimes a higher quality specification can make good economic sense over time, especially with items such as flooring and window fittings that need to outlast other decorative changes. Higher quality is also likely to bring extra gains in terms of energy efficiency and maintenance costs. For example, designer shutters are a lovely aesthetic feature that also provides additional insulation. Choose a contractor with whom you can establish a good, ongoing relationship. Delays and upsets add further costs, as well as considerable stress, whereas open discussions bring in useful ideas and a clearer sense of how the project is progressing. Budgeting is essential to a well-run project, but it also delivers greater satisfaction as you consider a job well done. It is the best way to ensure good quality features can be included, giving you lasting quality and enjoyment. Once you list all the renovation for you home, you have to at least spend one and half times of money then you calculated because once you start renovating your home, new things appear that need repairing or renovation. Nice post for home renovation.